We previously heard that the new Nokia Lumia 900 would go on sale with US carrier AT&T on the 8th of April, and now according to the guys over at WPCentral the handset will be available online from the 8th of April and in AT&T stores from the 9th of April. This has still not been officially announced by AT&T, so we can expect some official details shortly, the Nokia Lumia 900 is rumored to retail for $99 when you sign up to a new two year contract with the carrier. 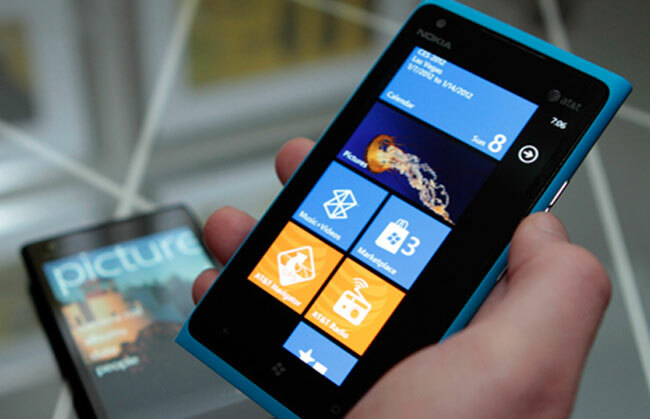 The Nokia Lumia 900 comes with a single core 1.4GHz processor and a 4.3 inch AMOLED ClearBlack touchscreen display with a resolution of 800 x 480 pixels. Other specifications on the handset include Windows Phone 7.5 Mango, plus a front facing 1 megapixel camera, a rear facing 8 megapixel camera with a Carl Zeiss lens, 16GB of built in storage, WiFi and 4G LTE.